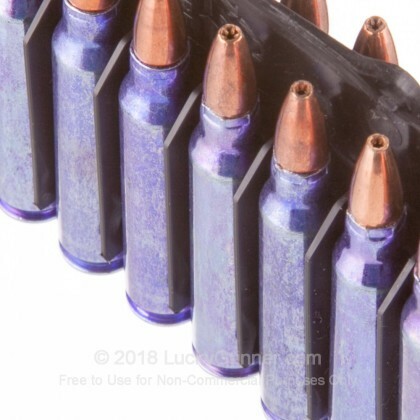 The 223 Rem was developed in 1964 and has become one of the most popular rounds in the world in all areas of use, including civilian, military, and law enforcement. With its incredible accuracy, phenomenally low recoil, and high speeds, the 223 Rem is perfect for the majority of your shooting needs, whether they be shooting in a competition, feeding your family, exterminating varmints, or practicing at the range. Winchester has been around since 1866 and makes some of the best ammunition in America. 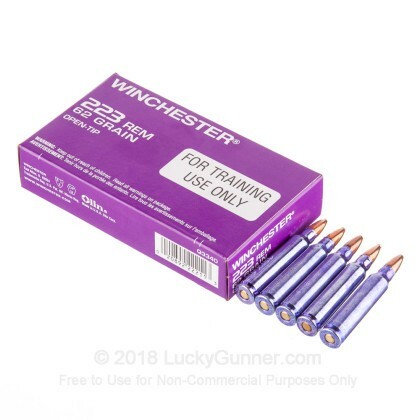 With the experience and reputation Winchester has, you won't have any issues out of your Winchester ammo. 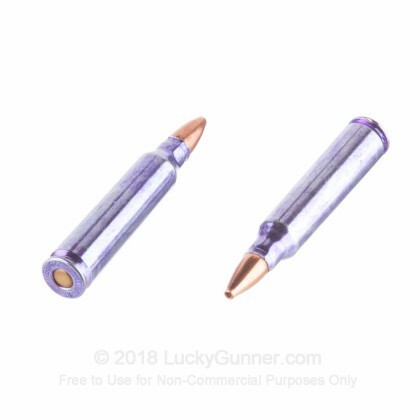 These 62 grain, open tip, boxer primed, brass cased, Winchester DHS Purple Casing rounds are designed to emulate the carry ammunition for the Department of Homeland Security. 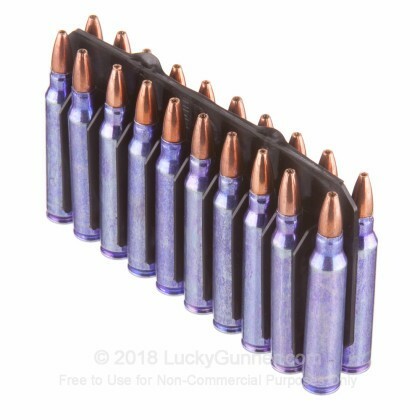 With these fantastic range training rounds, you have everything you need to help you become the best shot you can be. 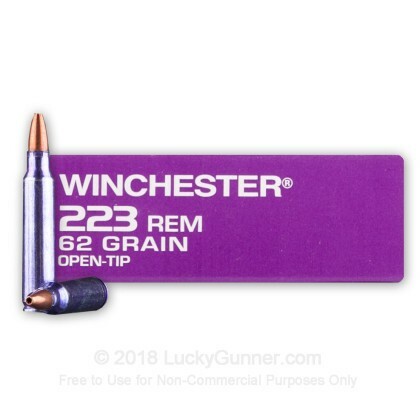 We don't have any reviews yet for this particular .223 Remington ammo from Winchester. 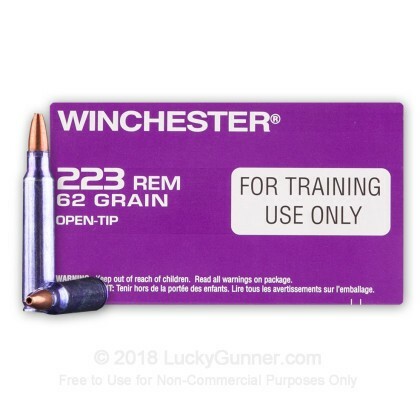 If you'd like to be the first to review this particular .223 Remington ammo from Winchester, fill out the form below.